If you’ve already started making junk journals, you’re probably quickly going through paper pads, books and other paper goods around your home. You might already be a frequent visitor to your local craft store, and you’ve probably figured out there are lots of gorgeous junk journal kits and printables on Etsy. But you’re probably also excited to find free stuff whenever you can. There’s lots of great resources to find free junk journal ephemera and printables – you just have to know where to look. And they have dozens and dozens more beautiful and affordable collections you can purchase… But that’s not even the best part. Creative Market also has an incredibly awesome free resource – the “free goods” section of their website. Each Monday, they release 6 of their collections for free! Completely free, and there are a new 6 each week. I’ve already gotten some gorgeous illustrations and fonts as a part of this that I’ve been using in my journals. All you have to do is sign up for an account and download them. They’ll sit in your “purchases” box so you can access them whenever you need them. Best of all, you can use them in personal projects and projects to sell. So no worrying about the details like you sometimes have to with Etsy. If you haven’t signed up for an account with them, give it a try. In my experience, it’s definitely worth it. If you don’t know about Graphics Fairy, you’re about to be incredibly excited. The site has tons of free vintage images and ephemera. Much of it is completely free to use, and the site has definitely embraced junk journalers as they regularly put out junk journal content, and even feature junk journalers on their site. They also have a membership for $10 a month that gets you access to their entire library of vintage bundles, textures, and laces. All for use in your projects, journals and more. I’ve used their graphics in my own journals and printables, and I really love them. The quality here is hit or miss as the graphics are free and generally designed for use on the web rather than for high quality printables. But, there’s still plenty of beautiful collages and backgrounds that you can incorporate into your designs and journals if you’re willing to spend some time looking around and searching. The images on Pixabay are held under a Creative Commons license which isn’t Public Domain, but still gives you a lot of freedom for your creativity. Make sure you read more on it before incorporating them into your designs though. The NYPL has been fantastic enough to not only make large portions of their collection digital, but have also been kind enough to flag portions that are part of the public domain. I’ve found lots of gems here from sheet music to menus to gorgeous medieval prints. Honestly, I just get lost for what seems like hours paging through the collections and saving things I think I might use. Best of all since these resources are scanned to archival standards, they are available in a variety of sizes including high resolution tiffs which makes them perfect for printing. The use licenses at Wikimedia Commons vary from public domain to various iterations of the CC license, so you’ll have to read carefully for each image as you come across them. 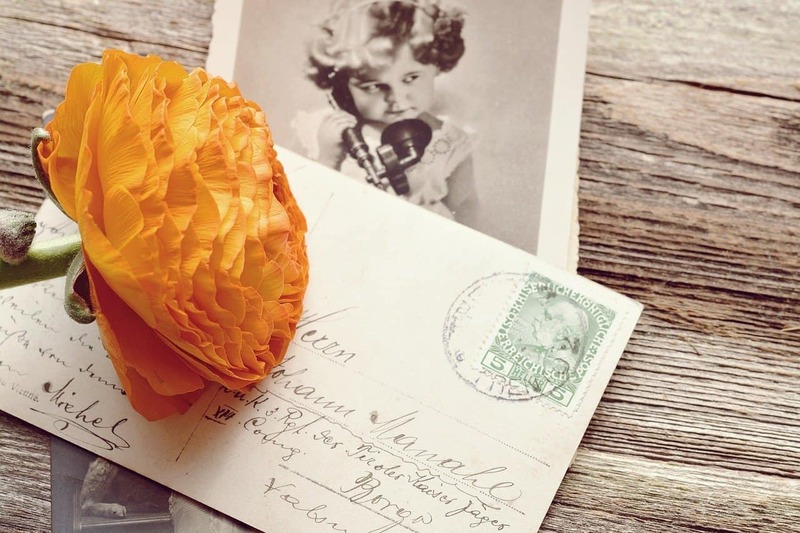 While you generally won’t find the kind of picture-perfect gorgeous prints you might on other options listed here, there are still lots of beautiful photos and vintage advertisements that you might find worth putting in your journal. The VIP member resource library here at Compass & Ink is small but growing. I regularly upload vintage ephemera, bonus pages from the printable kits I sell, and background images to help make your journaling easier. To get access to them, you just need to join. It’s free! And you get access to our newsletter where you’ll get junk journal news and tips straight to your inbox as well as access to the library. super helpful! Thanks so much for sharing! I’m a senior citizen.I barely can understand how to use my phone.I don’t have a computer to print your ideas.do I have to have a computer. Hi Lyn! You don’t necessarily need a computer, but you would need a printer and a phone that can connect to a printer to do it at home. The other option would be to go to a local printing place or an office supply store. They’re often able to help you print documents, though they will charge you for the prints. Another option might be a local library if they have color printers and someone who can help you!